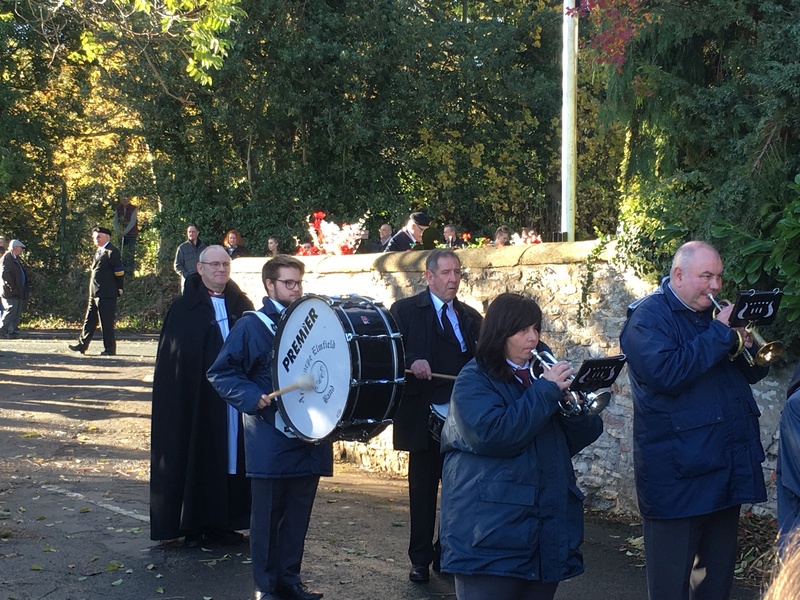 The eleventh hour, of the eleventh day, of the eleventh month 2018 allowed a crowd of 85 to recognise the 100th year celebration recognising armistice day of the 1914 – 1918 war. 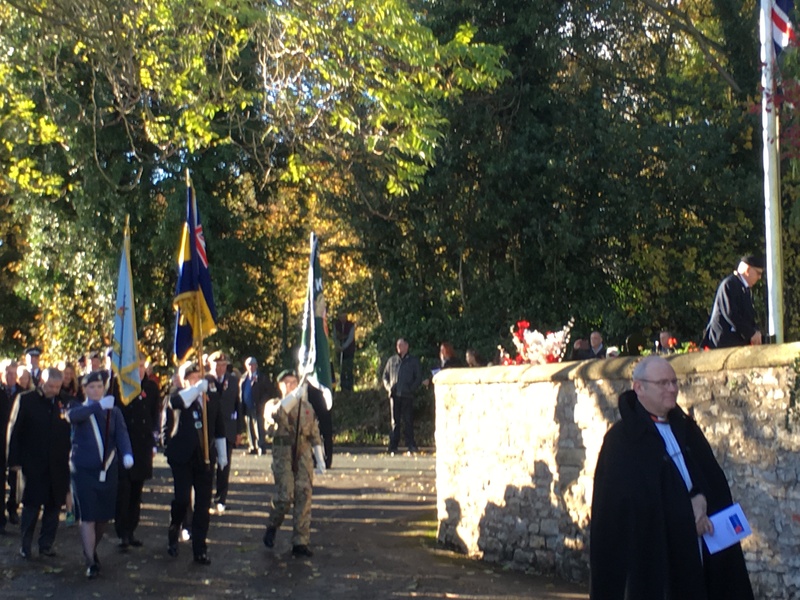 The gathering from local villagers, members of the British legion, armed forces and South Yorkshire Police joined the service at the war memorial conducted by Rev Dr. Richard Walton. 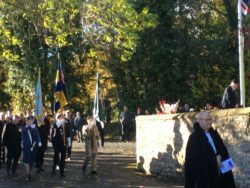 Following the traditional route, the congregation marched from the Burghwallis Pub car park to attend the service at the War Memorial. 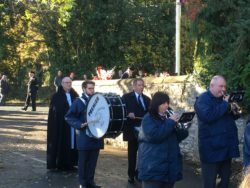 Thereafter the congregation marched along Old Village Street, back along Grange Lane to the Burghwallis pub car park. A closer look at wreathes reveals two new additions to the War Memorial, namely a couple of kneeling soldiers kindly provided by Campsmount School. 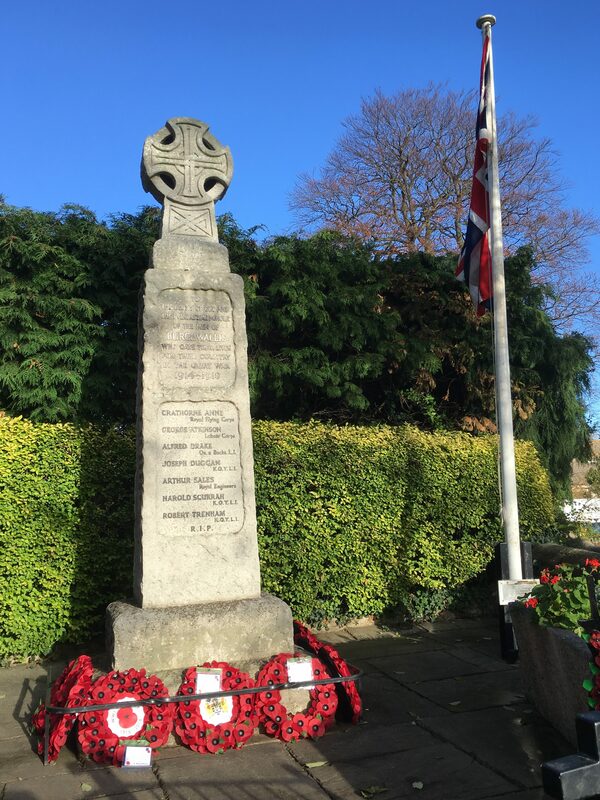 These figures are fashioned entirely by recycled materials, and have been made by the students at the school as part of a bigger project to mark the centenary of the end of WW1. 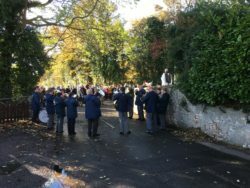 Not to be outdone, the Campsmount history department have researched some of the names on the memorial, along with general information relating to WW1. The two figures will remain on guard at the memorial until the end of November, when they will be returned to Campsmount schoool. 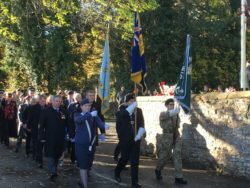 This will not be the last time we see them however, as they will also make an appearance at the Remembrance Service in 2019. 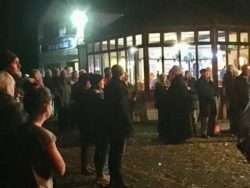 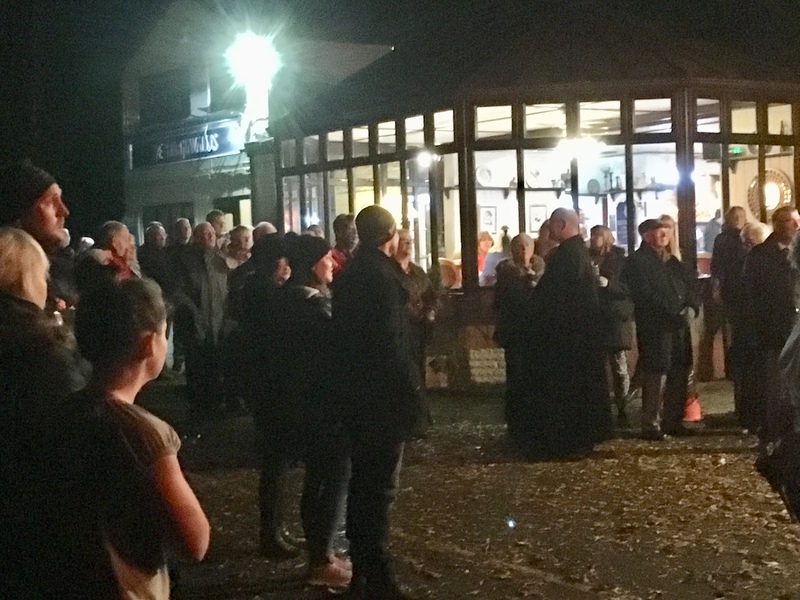 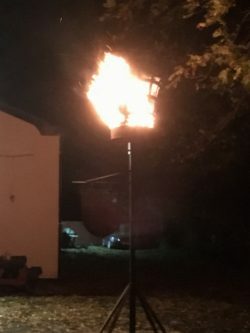 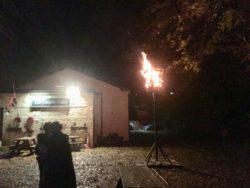 A further gathering at 7:00pm at the Burghwallis Pub allowed a crowd of 40 to hear the names of the fallen of Burghwallis read out and the lighting of the ceremonial beacon, one of the 1000 beacons set alight across the country. 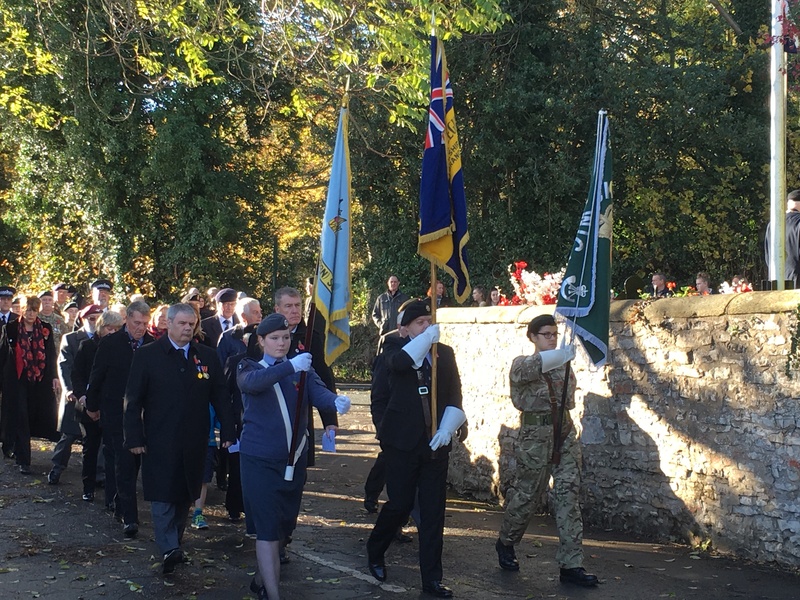 In the distance the bells of St Helen’s rang out in the same manner that announced the end of the war 100 years ago.